Summary: We explain how one bank is using smartwatches to decrease wait times and increase customer satisfaction. People move for all sorts of reasons. 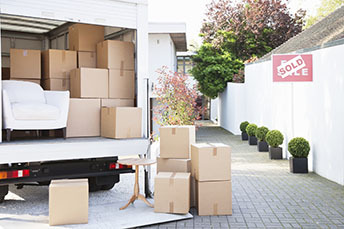 In fact, Census Bureau research finds 11% of people move in a year, but 62% of those who do, stay in their same county. The main reasons people said they moved were: relocate to a better home (16%), establish their own household (12%), for other family reasons (11%), for a new job or transfer (10%) and to find cheaper housing (8%). No matter if or why you are moving around this year, know that the largest banks are actively using technology to keep in touch with employees that are on the move or working at remote locations. HSBC, for instance, is testing out a pilot program at its signature Manhattan branch. It equips employees there with Samsung Gear S3 smartwatches containing the bank's enterprise app. The app has preset messages to more quickly communicate throughout the facility. The goal is to help employees immediately determine who can best serve a customer's needs, based on schedule and workloads at any given time. This is how it works: the HSBC staffer greets customers and finds out what the customer needs to do. Then, using the smartwatch app, the employee sends an instant alert to find out who could address the customer's particular need. That employee then immediately responds to the front desk greeter. This concept is designed to reduce waiting times and increase customer satisfaction by more quickly providing specific assistance. HSBC's staffers are also encouraged to show customers how they are using the smartwatches, because customers often appreciate it when their bank implements innovative technology to better serve their needs. The bank thinks smartwatches are also a good tool for employees to immediately contact a branch manager if they need managerial support. Doing so also allows the branch manager to communicate with employees when needed, either individually or via a mass message. As a community bank, you may not yet need this level of connectedness. But as your teams get more remote, it could come in useful one day down the road. Samsung's smartwatches come with enterprise-grade security, which is the same high security used for smartphones at government defense agencies. For HSBC's pilot, smartwatch use is restricted to the bank's enterprise app and the phone feature. That way, employees can call each other, if more information is needed above and beyond preset texts. Since the bank started its pilot with Samsung in September, customer wait and response times have been reduced. It will be interesting to see if this catches on with other banks, as HSBC rolls it out soon for a second pilot. Though you may not need this level of tech communication right now, it never hurts to stay informed on smartwatches and other emerging technologies to enhance customer service. After all, your customers will continue to expect the best from you, and we know you will continue to deliver it, as you support your community. Instead of defeating banks for financial industry market share, PayPal and Mastercard executives see partnerships with the largest banks as the way to substantiate customer trust and provide new user experiences. The partnership between smartphone companies and mobile network carriers was used as an example of how such a partnership could work. Community banks will need to monitor this as the combination of all of these major companies at some level could make competition extreme over time. S&P Global Market Intelligence reports banks and thrifts closed 1,903 branches net or about 2.15% during the year. Branches closed were fairly balanced across all income areas. A recent Bankrate survey showed that the percentage of Americans who had unexpected debt in 2018: less than $1,000 (18%); $1,001-2,499 (19%); $2,500-4,999 (22%); $5,000 or more (36%).